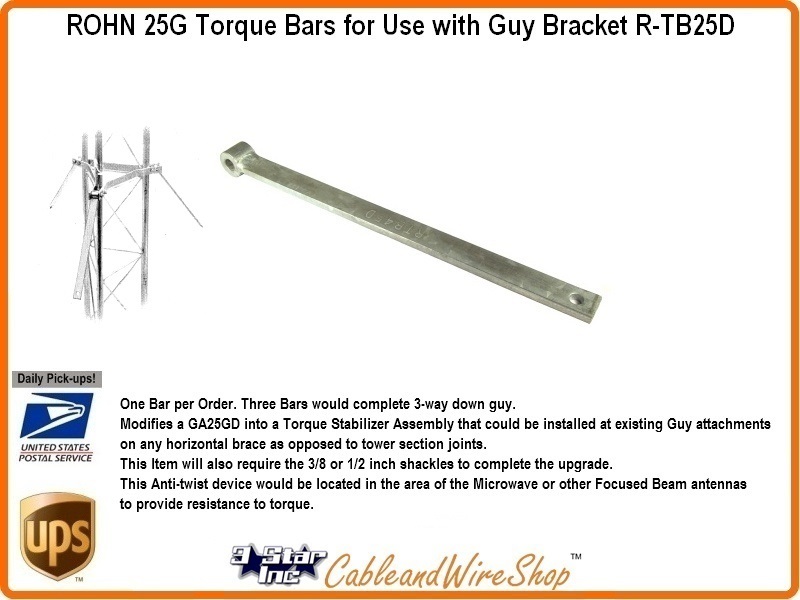 ROHN TB25D is an upgrade attachment option for the GA25GD, when completed with 3/8 inch shackles. for a complete Torque Arm Stabilizer assembly that bolts onto tower section joints, refer to the R-TA25, also sold here. American Steel... Buy ROHN, Buy American.